After your order is picked and packed we will either contact you by email, or telephone, to confirm the shipping charges and your order total. On your approval we will contact FedEx to pick up your goods at which point we will bill your credit card. Some people see results the first time they use the products, and everyone tells us that their skin feels different straight away. The skin feels, clean, smooth, hydrated, and reflects a new level of health that”s visibly noticeable. 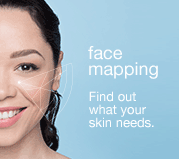 If the skin has more advanced long-term needs, such as treatment of skin aging, acne or hyperpigmentation caused by hormonal fluctuations or sun damage, results may not be immediately visible; however, skin health will continue to improve as you follow the advice of your professional skin therapist, your Face Mapping® zone-by-zone prescription and your home care regimen. Plain and simple – healthy skin. Dermalogica uses ingredients designed to help keep skin at an optimal level of fitness – not just cover up with cosmetic results. But don”t get us wrong: a benefit of healthy skin is skin that looks its best! In addition, when skin is at an optimal level of fitness, your professional skin therapist can more effectively address issues that may arise from time to time, as your skin”s needs are constantly changing. Skin is a living part of your body (your largest organ, in fact), that defends against environmental assaults and extreme temperatures. It helps eliminate toxins from the body. It heals from cuts, abrasions and scratches like a champ. It”s continually renewing and protecting. Simply put, skin keeps the bad stuff out and the good stuff in. So why do you dote more on your hair and nails – two items on your body that aren”t actually living? Your skin needs personal attention from a professional – and that professional is a Dermalogica professional skin therapist. 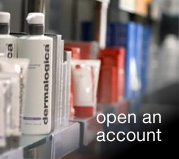 At Dermalogica, we train more than 75,000 professional skin therapists a year. 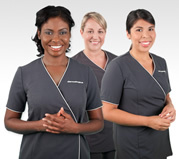 Dermalogica professional skin therapists are licensed, intensely educated skin health experts trained to prescribe Dermalogica products and deliver Dermalogica professional skin treatments. They have the answers to your most pressing skin care concerns. They know how to deliver real, visible results. They”re the best in the business, and have a real passion for taking care of your skin.